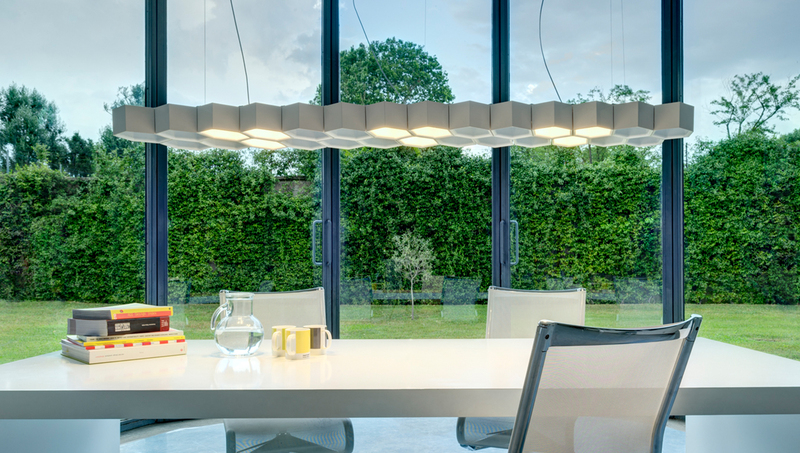 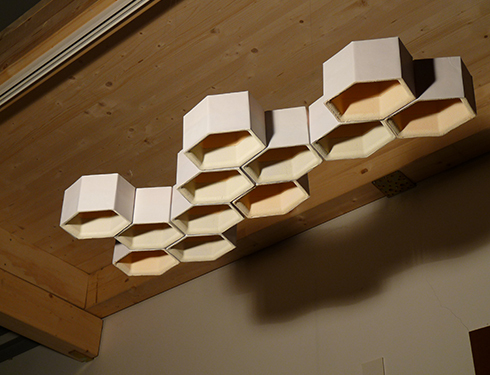 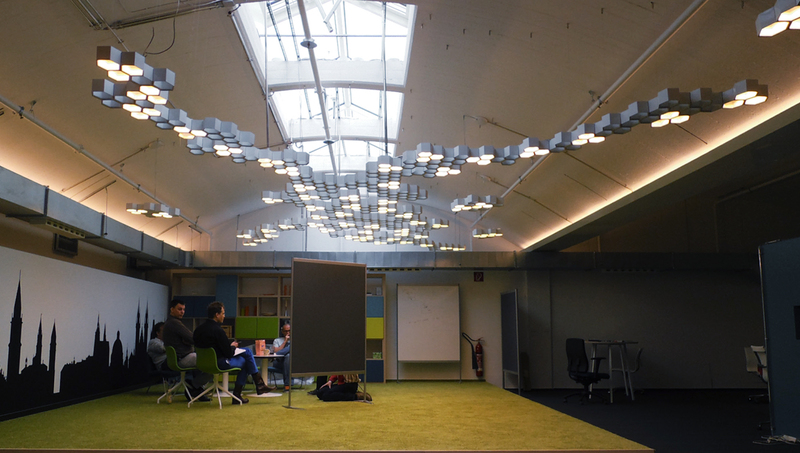 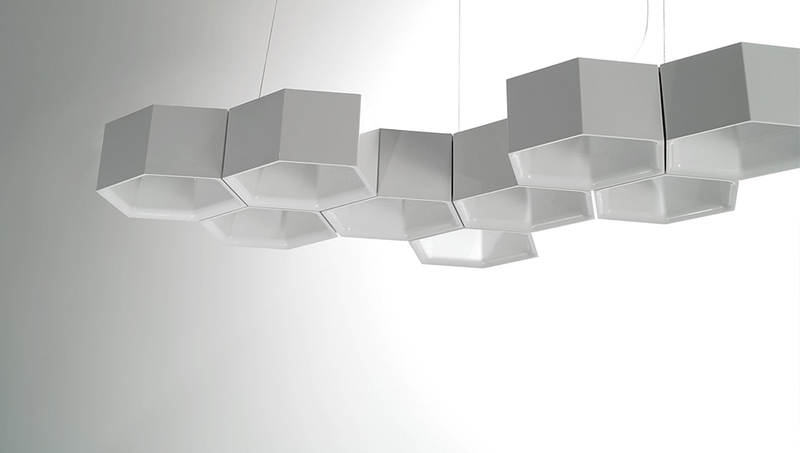 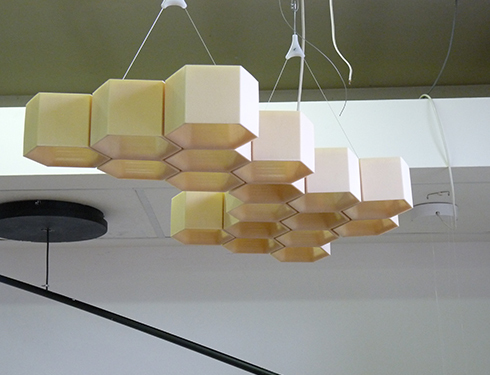 A free aggregation of hexagonal modules of technopolymers injection molded elements designs a suspended modular lighting object. 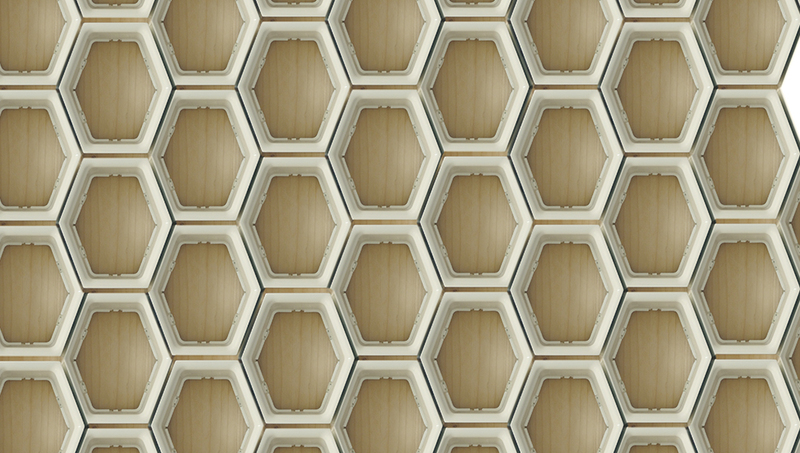 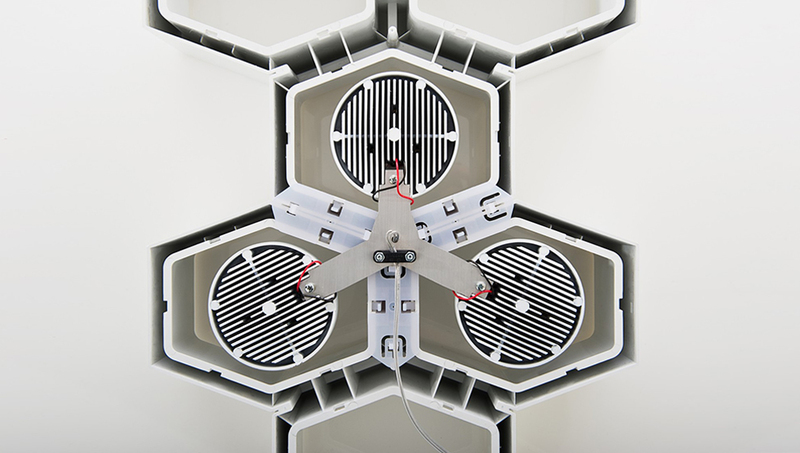 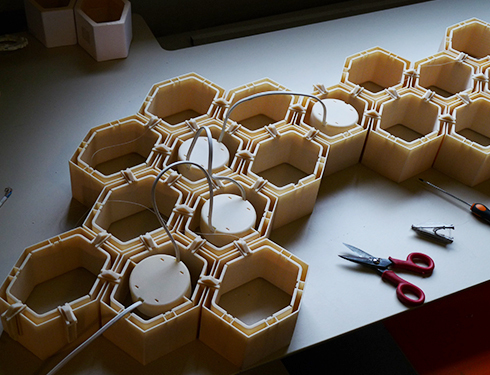 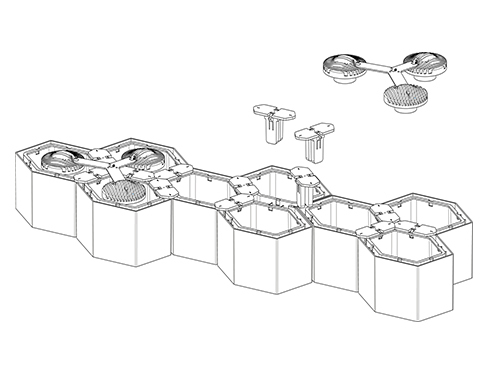 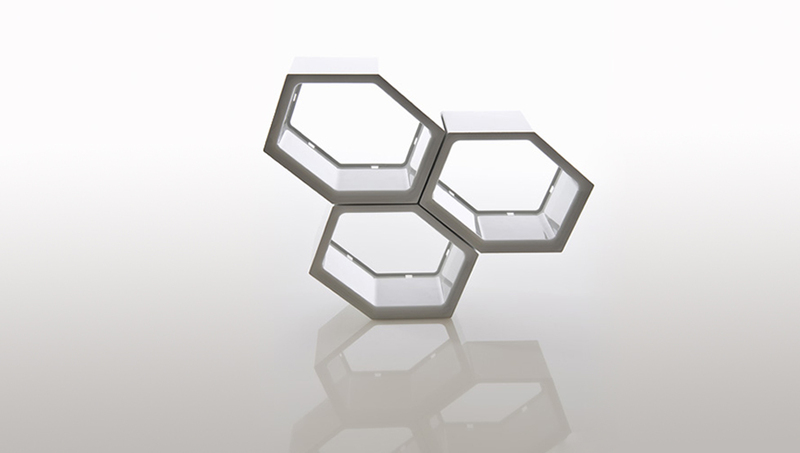 The system recalls the geometric regularity and repetitive cells of the hive, but allows considerable autonomy in shaping the overall shape of the lighting system. 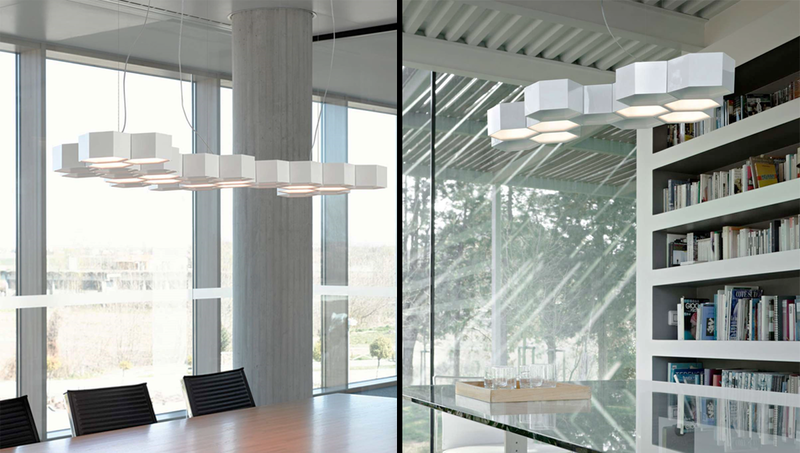 Light and structure are designed as independent elements: you can choose to set the few modules with light source, alternating compositions of lighting and dark elements, expanding the system infinitely. 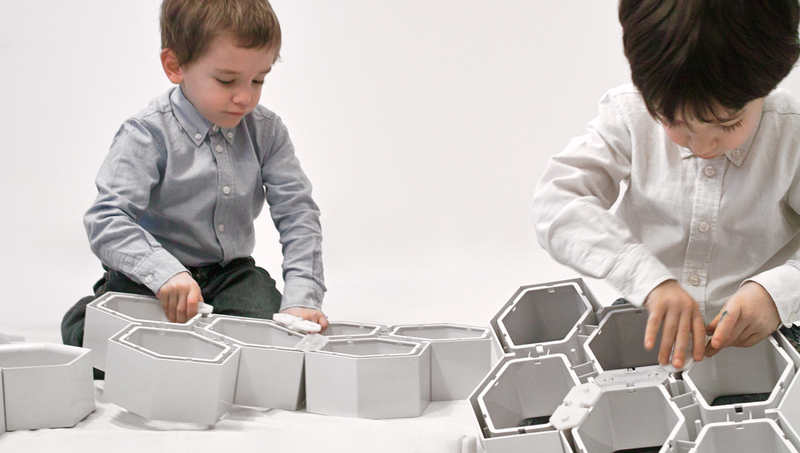 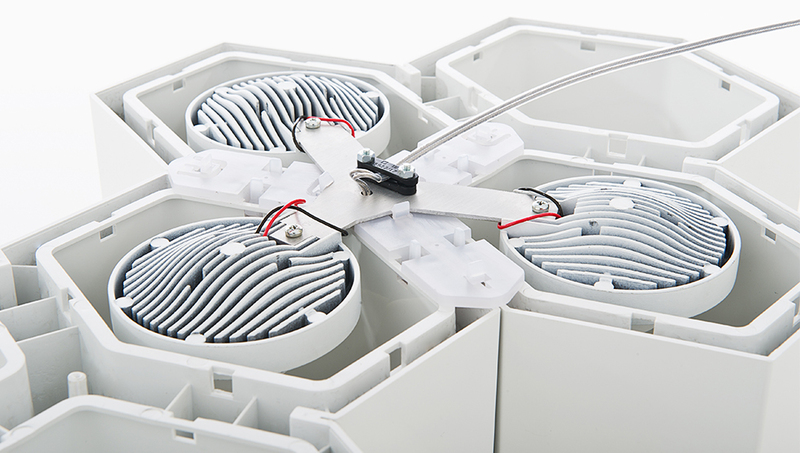 The modules are coupled together using small plastic forks, they give rise to a self-supporting structure, able to house different types of light source for different atmospheres of light from halogen bulbs to low voltage and high efficiency LED, from the source for a focused accent lighting to the omnidirectional sources for a soft direct and indirect light.